Graduating seniors Isaiah Curtis and Olivia Houston will be the student speakers for the 2017 SGIS convocation ceremony, being held Friday, May 5 at the Global and International Studies building. She wasn’t—technically speaking—Isaiah Curtis’s grandmother. 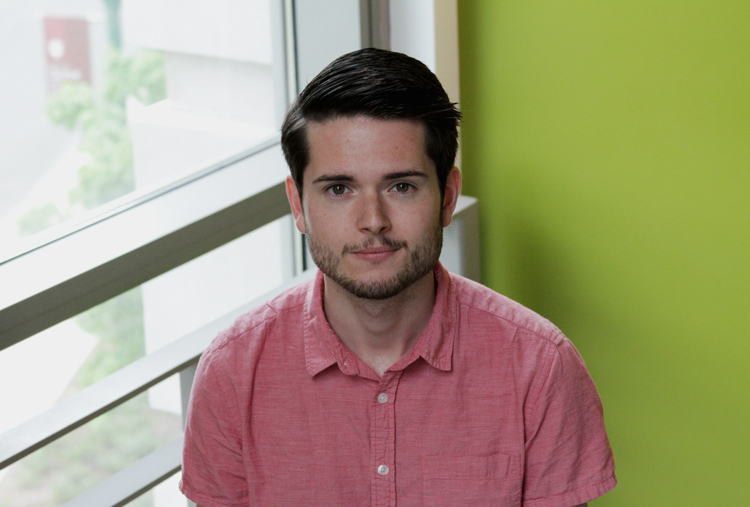 Curtis, who will be giving a convocation speech Friday, was spending the summer of 2016 with a family in Dushanbe, Tajikistan on a federally-funded critical language scholarship. The conversation wasn’t exactly flowing, the SGIS senior recalls, but it was utterly meaningful. In Dushanbe, by contrast, Curtis experienced full immersion not only in several languages, but in Muslim culture—and during a month-long religious observance, no less. Curtis hasn’t always been a globetrotter. Before coming to SGIS, Curtis admits, “I didn’t know a whole lot about the world.” The fifth of six children growing up in a family of limited means, Curtis is the first to have attended college. Studying French and Spanish in high school was the game changer. Curtis’s pursuit of that affinity led to an Islamic Studies research scholarship, during which he translated the work of the Persian poets Hafiz and Ferdowsi, under the guidance of Professor Paul Losensky. And to his CEUS honors thesis, on Kurdish nationalism in poetry. And his work as a volunteer Arabic tutor. The languages have been a through-line. After graduation, Curtis will be interning at Luna Language Services. The Indianapolis-based business provides translation and interpretation services for government, corporate, and non-profit clients. He hopes to attend grad school in the fall of 2018, and focus on Iraqi Kurdistan. He’s been taking Kurdish for a year. “I always joke that I’m a Slytherin but in the best possible way,” laughs graduating senior Olivia Houston, “I want to use my cunning and my resourcefulness for the benefit of others.” Slytherin, it bears noting, is not one of the regions in which one can specialize at SGIS, but one of the four houses at Hogwarts, from Harry Potter. A region Houston has focused on, however, is France. The second speaker at Friday’s SGIS convocation ceremony spent her junior year in Aix-en-Provence and is graduating with a Certificate in Global French. That’s on top of a Bachelor of Science in International Studies, a Bachelor of Arts in Political Science, and a Minor in Economics. Houston’s International Studies major has been on the Diplomacy, Security, and Governance track. The Harry Potter allusion is Houston’s playful way of co-opting preconceptions about an institutional approach to global challenges. Slytherins are known for their cunning, resourcefulness, and ambition. “I’m of the mind that you have to work within the system you have to improve it,” she claims. She collapses the distinction between the policy-based strategy she favors and the change one might make on what Curtis calls a “human-to-human basis” through language and culture. The beauty of the international studies degree at SGIS, Houston says, is its validation of diverse avenues to diplomacy. Houston’s family moved to Bloomington she was 12. She’d always seen herself going into law, but an AP European History class in high school convinced her that she would be taking her future law degree in an international direction. Applying to International Studies programs at universities as a high school senior, Houston remembers the day she saw the announcement for SGIS and the architect’s rendering of the school’s future home on the front page of the Bloomington Herald-Times. “And I said ‘done,’” she recalls. Twice, in fact. Houston spent the summer after freshman year in London, studying international relations and political theory for six weeks at the London School of Economics and Political Science. During the 2015-16 academic year, Houston focused on international relations and furthered her proficiency in French at Sciences-Po-Aix. During an undergraduate career that has tracked with a building period for SGIS, Houston has contributed to efforts creating the student ambassador program and the dean’s student advisory board (GS7). 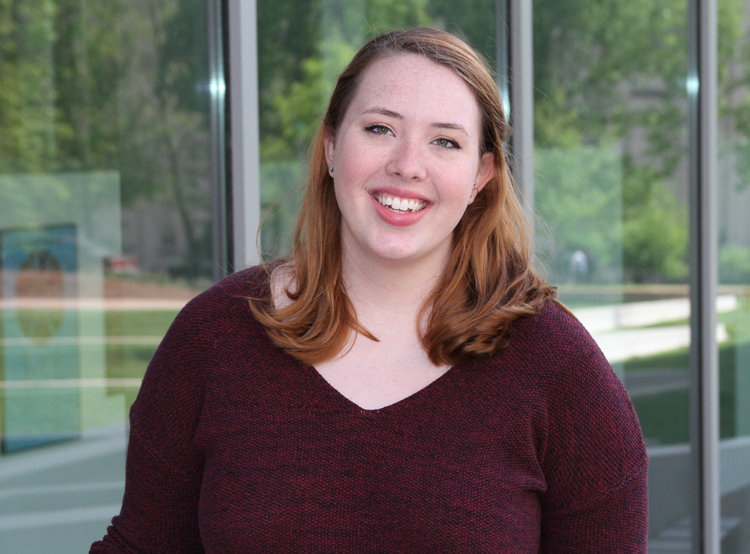 As the President of Sigma Iota Rho, the International Affairs Honor Society, she has been involved in discussions to refine the International Studies major. She has taken initiatives to connect American and international students as President of the International Studies Undergraduate Association. In the fall, Houston will be entering Notre Dame Law School, where she plans to pursue her passion for human rights.